If I'm honest, The Electronics Revolution was a lot better than I thought it would be. it has 27 topic-based chapters plus intro and conclusion, covering the development of electronic technology - some of it where electronics was not always involved - in everything from radio and TV to recorded music and computing. There is a real danger with this kind of format that you end up with chapter after chapter with very little substance, simply recounting examples of a particular application. Just occasionally, there is a touch of this - for example in dealing with the Millennium bug. However, mostly what we get is much better. What is impressive about the way that J. B. Williams (we are told nothing concerning the author, not even a first name) covers these topics is the detail of the early history that he or she digs out. So, for example, I thought I knew a fair amount about the origins of thermionic valves/vacuum tubes, but I hadn't seen before the story of Edison accidentally inventing the diode but not realising what he had done. This kind of 'ooh, that's interesting' bit happens regularly, particularly in the early parts of the history of each technology. Whether it's Berliner developing the gramophone or the various contributors to the development of integrated circuits, Williams fills in snippets of detail that you don't often see. The book was also particularly interesting with a transatlantic viewpoint, as he/she frequently produces plots of the take-up of various technologies comparing the UK and the US - while in some cases the US has the obvious lead, in others it lagged significantly behind, often due to entrenched business interests. The book is copyrighted 2017, but I do wonder if the text was written a few years earlier, as some later developments are missing. The section on video recording, for example, ends with DVDs and Blu-ray without mentioning PVRs... or for that matter, the way streaming has made recording far less necessary (this is also the case in the recorded music section). The author's personality comes through occasionally in chapters that touch on societal impacts. What we get is a slightly old-fashioned and sceptical view. Perhaps the oddest of these chapters is one on 'Pop music: youth culture in the 1950s and 1960s' which feels as if it's written by someone who was already past their youth by that time. But the strongest feeling comes through at the end of the banking chapter (one of the examples where the US has lagged way behind). On internet banking we are told 'Some younger people took to this with enthusiasm but the growth of internet banking was slow.' Hardly the picture now. Almost all electronic contributions to banking are described as if they purely benefit the banks and aren't useful to the customers, being a sort of conspiracy to distance the consumer from actual money so they would borrow more. Once again, this section feels like it was written a while ago - there's no mention of contactless payments or pay-by-phone. All in all, I felt I got a lot from this book, despite the author's foibles. 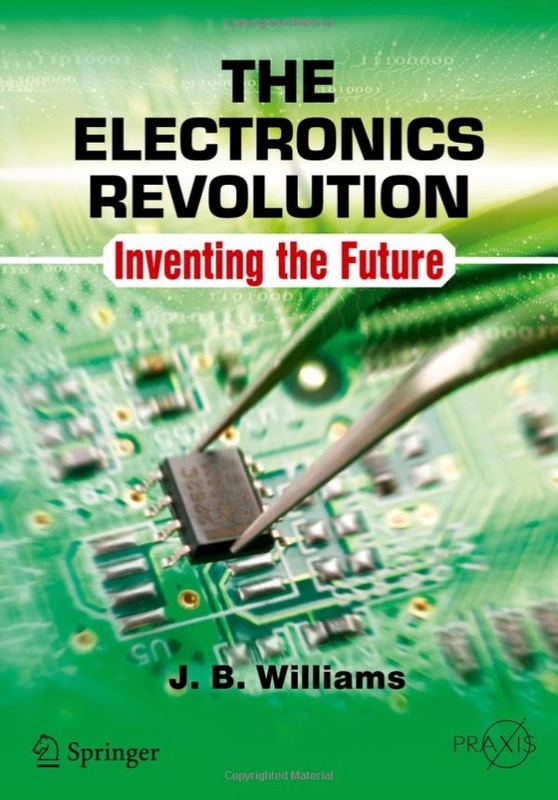 I don't think it quite makes it as a general interest book, hence the 3 star rating, but if, like me, you have an interest in the early history of electronic technology, it's well worth getting hold of a copy.